Thousands of small businesses will have to wait a bit longer to find out if they can claim a 20 percent tax deduction on their income taxes for this year. Quoting a senior administration official, Bloomberg reported yesterday that regulations specifying which small businesses will be considered service businesses that are excluded from taking the deduction will likely be delayed until the end of the month. At issue is Section 199A tax deduction approved in the tax reform law from last December. The provision allows S-corporations, LLCs, partnerships and proprietorship business owners—so-called pass-through entities—to deduct 20 percent of qualified income. But there are limits, especially for certain service businesses in the financial, health, legal and other industries. CPAs and tax lawyers have been waiting for guidance from Treasury and the IRS on exactly which businesses are considered service businesses. Regulations were expected in June, but with the latest delay, thousands of small businesses are left in tax limbo. Tax attorney Robert Schwartz of Lindabury, McCormick, Estabrook and Cooper, P.C. in Westfield said the deduction will provide a historic benefit for a large number of small businesses. All pass-through businesses that bring in less than $157,500, ($315,000 for a married couple), can deduct 20 percent of the income they receive from their overall taxable income. 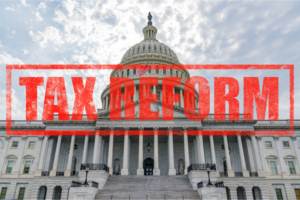 “This is the first broad brush deduction available only to businesses owners since the inception of the Federal income tax in 1913,” he told NJBIA back in March. Congress, however, did not want such a large deduction going to highly educated or uniquely skilled individuals who were unlikely to use the savings to create a lot of new jobs. Schwartz explains that the regulations are necessary because legislation could not possibly have addressed in advance each and every pass-through business owner situation with clarity. Is there a disconnect here in the presumption that “highly educated or uniquely skilled individuals” would be unlikely to use the savings to create a lot of new jobs? Many successful new ventures and small firms likely to grow are frequently lead by highly educated and uniquely skilled individuals. Contrary to the hype and exceptions, not all multimillionaire rainmakers are high school or college dropouts.